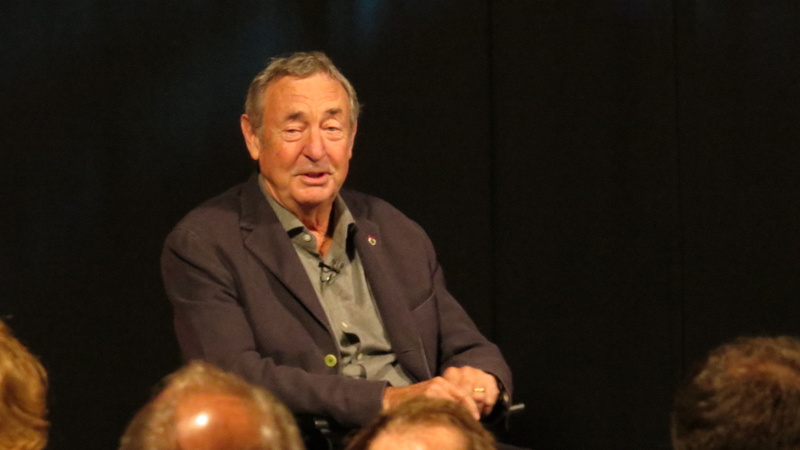 Pink Floyd news :: Brain Damage - Nick Mason - a very happy birthday to you! Nick Mason - a very happy birthday to you! All of us here at Brain Damage offer our very best wishes to Pink Floyd drummer Nick Mason, who celebrates the very special occasion of his birthday today (January 27th). We all trust you are having a great day, Nick! Nick has contributed to a number of magazines on motoring issues over the years (including a fascinating monthly column in Octane Magazine), and also became president of the Guild of Motoring Writers. He is a trustee of the Beaulieu National Motor Museum, and a life member and Guardian of the BRDC (British Racing Drivers Club). He has been involved in motor racing since the early 1970s and has entered Le Mans five times. Musically, of course, the big news last year was the launch of his new band, Nick Mason's Saucerful Of Secrets. The four initial, small gigs in May 2018 held in London lead to a very successful and critically acclaimed European tour in September. This year, of course, the tour continues with dates in the US, Canada, and more dates in the UK and Europe. Many happy returns, Nick, and see you on the road!